How does the amount of land that youth expect to inherit affect their migration and employment decisions? The new paper by Kosec et al. published in the American Journal of Agricultural Economics explores this question in the context of rural Ethiopia. In rural Africa, youth typically rely on inheritance and gift, or informal rental markets, to access land. However, population pressures—including a youth bulge in many developing countries—are reducing land availability and, potentially, opportunities for youth to work in agriculture. As farms intensify agricultural production to overcome land constraints, labor-saving technologies may substitute for youth farm labor. Pessimistic views on inheritance prospects may encourage youth to transition to non-agricultural activities. Alternatively, they may delay labor force entry by encouraging youth to obtain secondary or tertiary education. Understanding how land inheritance affects such decisions is critical for understanding the likely impacts of demographic and technological changes on development. Authors examine a 2014 cross-sectional dataset indicating whether youth household members from a 2010 survey had migrated by the time of a 2014 survey of the same households, and in which sector they work. They construct a measure of individual expected land inheritance using detailed information provided by household heads on inheritances granted and expected to be granted to each descendant. whether the main identified effects are significantly different in communities with varying levels of three potential mediators: the prevalence of land rental activities, travel time to a major urban center, and average soil quality. There is generally a strong relationship between expected land inheritance and youths’ likelihood of engaging in long-distance permanent migration, rural-to-urban permanent migration, and non-agricultural-sector employment in rural Ethiopia. A 10% increase in inheritance size reduces rural-to-urban migration and employment in the non-agricultural sector by 4.8 and 4.1 percentage points, respectively. 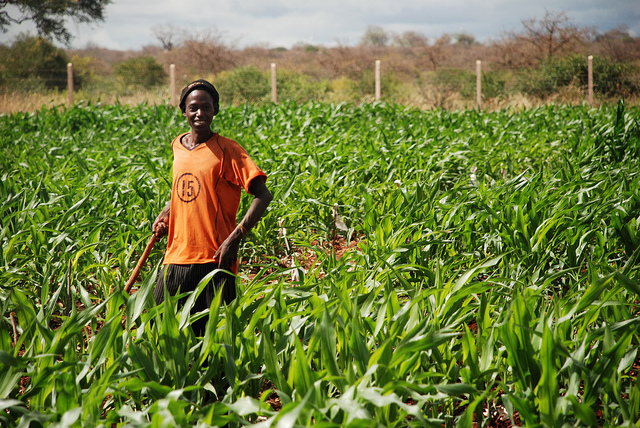 Access to land rental markets could provide an alternative to inherited land and facilitate youth self-employment in agriculture. The relationship between land inheritance and rural-urban migration appears to weaken, and that between land inheritance and non-agricultural employment is entirely eliminated, in areas of high rental market activity. Proximity to urban centers mediate the effect expected inheritance has on employment and relocation (the closer to cities, to less apparent the relationship). The quality of soil in the expected land inheritance is another important factor in the migration decisions. Where soil quality is low (below median), a reduction in one’s land inheritance predicts a significantly greater tendency to migrate to an urban area and be employed in the non-agricultural sector than that seen in areas with higher-quality soil. Effective and non-distortionary government policies are needed to ensure that youth remain economically engaged and productive. In this regard, relaxing policy-induced frictions in the land rental market in the country or otherwise freeing up land for individual use can result in far-reaching impacts in reducing youth unemployment. Educational campaigns, starting at a young age, in conjunction with investments in the service and manufacturing sectors, will be crucial to absorb youth with limited opportunities for land ownership. The government has signaled its commitment to the latter under its Five-Year Growth and Transformation Plan (2015/2016–2019/2020). Finally, there is a growing need to initiate modernization in the agricultural sector by increasing access to extension and encouraging the widespread adoption of agricultural technologies. Under such conditions, agricultural growth will increase rural household welfare, thus generating the demand for auxiliary services and goods, which landless rural youth can provide. This research was undertaken as part of the CGIAR Research Program on Policies, Institutions, and Markets (PIM), led by the International Food Policy Research Institute (IFPRI). The work was funded by PIM, IFPRI’s Ethiopia Strategy Support Program, the United States Agency for International Development (USAID), and the U.K. Department for International Development (DfID).